So Glad to have you visit our website!! Here at Total Fitness our mission is to provide families and individuals with all of their fitness needs! All of our staff are trained to improving the quality of your life and the life of your family by offering you a comfortable and friendly workout environment! For the past thirty years we have offered a clean, professional fitness environment. Personal training, fitness assessments and consultations are available by appointment (not included in membership). Not only do we GUARANTEE the best rates in town, but we take the extra time with you and your family to ensure you get those extra benefits that you might need. In the meantime you can reach us at [336-626-4653]. We are looking forward to hearing from you. 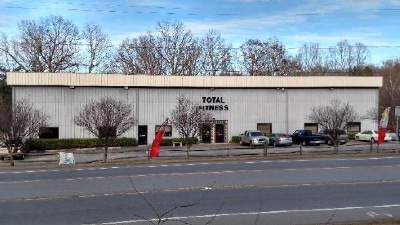 You can also contact us at our e-mail address: [totalfitnessgym@centurylink.com].